Ho Chi Minh City enterprises have responded to the city’s project to develop raw material areas to ensure sufficient supplies of meat and vegetables, as part of an effort to stabilize prices. In October 2008, the HCMC People’s Committee approved a project to develop breeding activities for the 2008-2010 period and towards 2015. The city’s vice chairwoman Nguyen Thi Hong said the project is aimed at creating food resources sufficient to meet the city’s demands, and ensure food quality, hygiene and safety, with a focus on pork, beef, eggs and poultry. This is a chance for enterprises to cooperate, exploit lands, funds, techniques and labor forces to produce products with reasonable prices and help stabilize the market, she added. In addition, she said, it has also encouraged enterprises to enlarge their farms, increase productivity, reduce prices and environmental pollution, as well as control epidemic diseases. 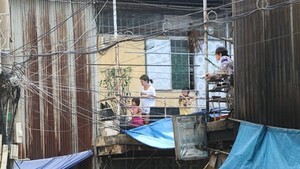 The city’s vice chairwoman Hong said in order to stabilize prices, there must be a stable and sufficient supply. Responding the program, Sai Gon Food Processing and Breeding Company (Sagrifood) has taken the initiative to cooperate with the city’s Voluntary Youth Force to build two farms that plan to breed 5,000 pigs and 500 sows. Ba Huan Company, Ltd. has cooperated with the Department of Labor, Invalids and Social Affairs and the Voluntary Youth Force to develop two farms with over 44,000 chickens and pigs. The Huynh Gia Huynh De Company, Ltd. has raised 10,000 chickens and built farms to raise ducks in the Tay Ninh and Dong Thap provinces and a farm to breed ducks in the Binh Duong Province. The company will finish construction and put into operation a poultry slaughtering and processing factory in Dong Thap Province this July. The Phu An Sinh Company Ltd. has developed a farm with 300,000 chickens and put into operation a slaughtering and food processing factory in the Tan Thanh District of the Ba Ria-Vung Tau Province. The Voluntary Youth Force has cooperated with farmers to breed 10,000 pigs and 1,000 sows, producing a total pork supply of 1,600 tons per year. The force has planned to develop more pig farms as well as cooperate with the Ba Huan Company to breed 66,000 egg-laying hens, which will yield 12.5 million eggs and 60 tons of chicken per year. Though not included in the project, the Saigon Trade Cooperative (Saigon Co.op) has gone to farming provinces and placed orders and paid in advance for vegetables and fruits with farms and cooperatives at stable prices between now and year’s end. On May 27, Saigon Co.op signed an agreement with the Lam Dong Province’s Department of Agriculture and Rural Development, to invest in the province’s farms and create favorable conditions for the province’s agricultural products for sale in Co.opMart supermarkets and Co.op Food shops. The total investment in the project is estimated at VND15 billion. Bui Hanh Thu, Saigon Co.op deputy general director, said to have supplies that can ensure quality and quantity, her company has to pay in advance, supply farmers with information on the market demand and instruct farmers how to produce food that satisfies Vietgap quality standards. In addition, the company has worked with relevant agencies taking random samples of plants to test for pesticide residues, she added. 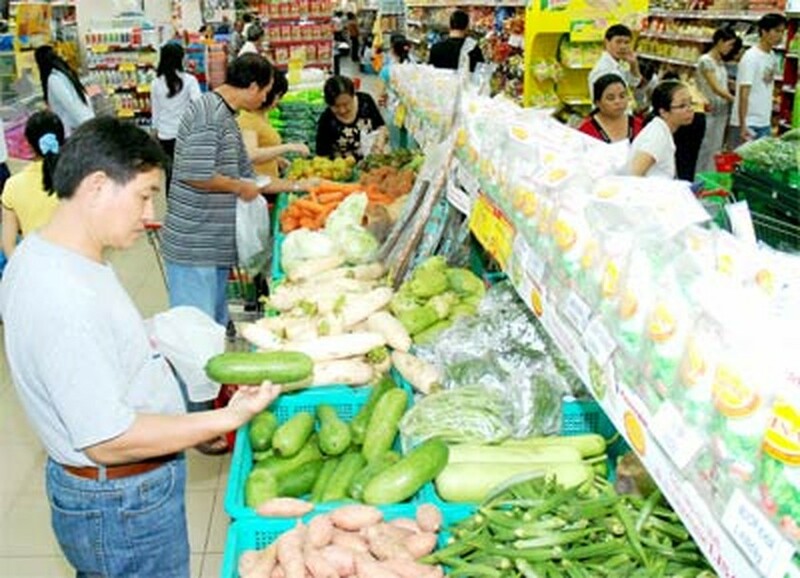 Without paying in advance to develop areas dedicated to raw material, it would be difficult for Saigon Co.op to stabilize prices since costs have surged sharply, and Co.opMart supermarkets and Co.op Food shops have consumed some 50 tons of vegetables and fruits per day, she said. Ms. Thu said signing investment and purchase contracts with provinces would help facilitate as well as stabilize the production of farmers and cooperatives and help improve their lives. Saigon Co.op has also contracted with HCM City’s and Tien Giang Province’s departments of Agriculture and Rural Development to buy agricultural products. Vissan Vegetables and Fruits Trading and Processing Company has cooperated with and invested in the city’s farming cooperatives to ensure stable supplies to 60 shops and 570 schools nationwide. Phan Thanh Tai, the company’s director, said foods supplied to schools have to be stable in terms of price and quantity throughout the year. The Voluntary Youth Force has also invested in farming and distributing vegetables and fruits in adherence with the safe vegetables production process.